Forests of the Eastern part of Russia and China are the only habitat where the Amur leopard (Panthera pardus orientalis) remains in the wild. A counting conducted in February / March 2007 estimated the wild population to thirty individuals. A more recent counting (2013/14) gave a figure closer to 80 animals. This is better than 30, but still insufficient to ensure the future of the species : the Amur leopard, is one of the most - if not the most - endangered large cats on earth. Threats to these few remaining leopards are many. 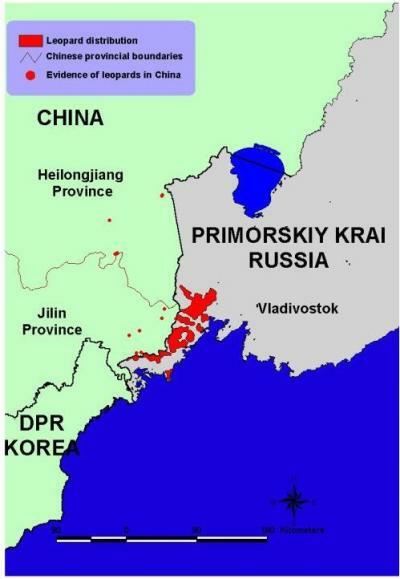 First, the area is politically sensitive because it borders China and North Korea (and leopards are known to cross these borders). 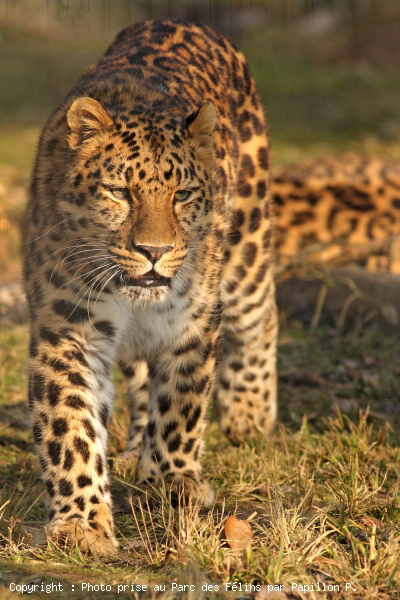 Secondly, habitat loss and fragmentation through logging – the Amur leopard has lost 90% of its natural territory because of deforestation -, frequent human-caused fires, and planned and ongoing development projects, such as a major gas pipeline, are major problems. 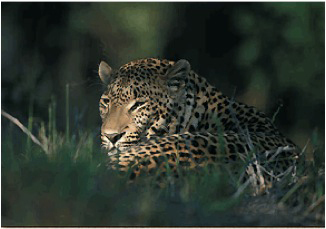 Thirdly, leopards are lost to poachers and “retaliation killing” of leopards that kill deer on local deer farms. Poaching of roe deer and sika deer, the leopards primary prey, poses as great a threat as poaching of leopards themselves. Moreover, poachers on behalf of Chinese drug producers, who attribute some medicinal virtues to the animals’ remains, hunt the Amur Leopard to excess. Lastly, because leopards are found in one small population, they are threatened by inbreeding, introduced diseases, and catastrophes such as major fires. The conservation activities include research, monitoring, anti-poaching brigades, fire fighting, education and awareness policies. An international program of reintroduction of wild animals born in captivity is under way. 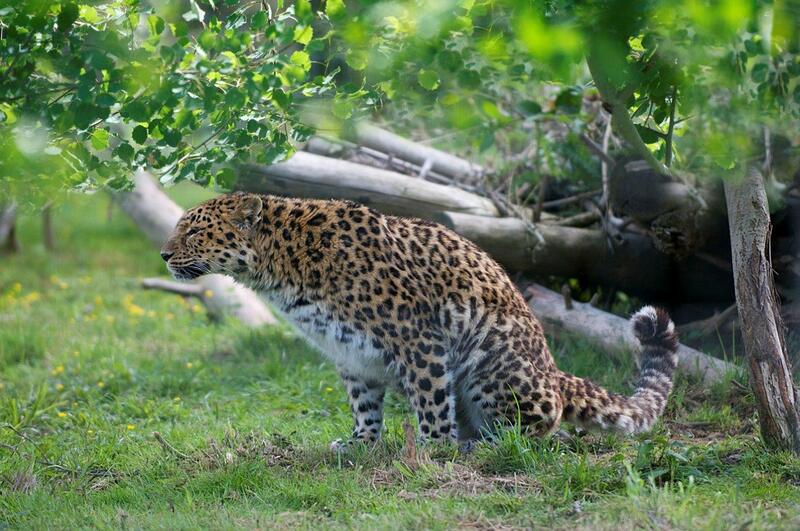 The first step was the genetic analysis of the Amur leopards’ population that outcome of zoos. 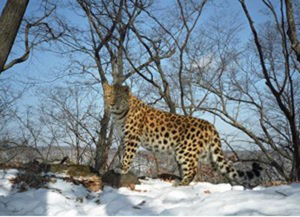 The second step was the construction in Russia, near the natural territory of the Amur leopard, of two relatively large encolures and away from human présence (except the scientists in charge of the program) that should tenable the young leopards’ reintroduction to the wild and get used to this new environment, the ultimate goal being to release to the wild animals. The program is going on. Programs of animals’ reintroduction to the wild are very long. Many factors must be taken into account, such as, of course the response of animals to be released, but also political lobbies to reach decisions concerning the protection of habitats and the effective application of these laws.